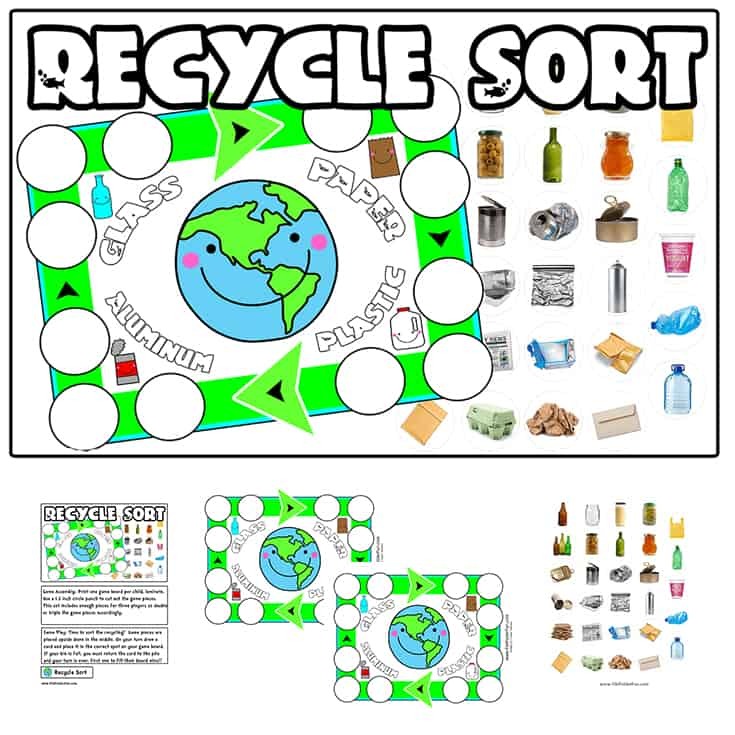 Game Play: Time to sort the recycling! Game pieces are placed upside down in the middle. On your turn draw a card and place it in the correct spot on your game board. If your bin is full, you must return the card to the pile and your turn is over. First one to fill their board wins!! 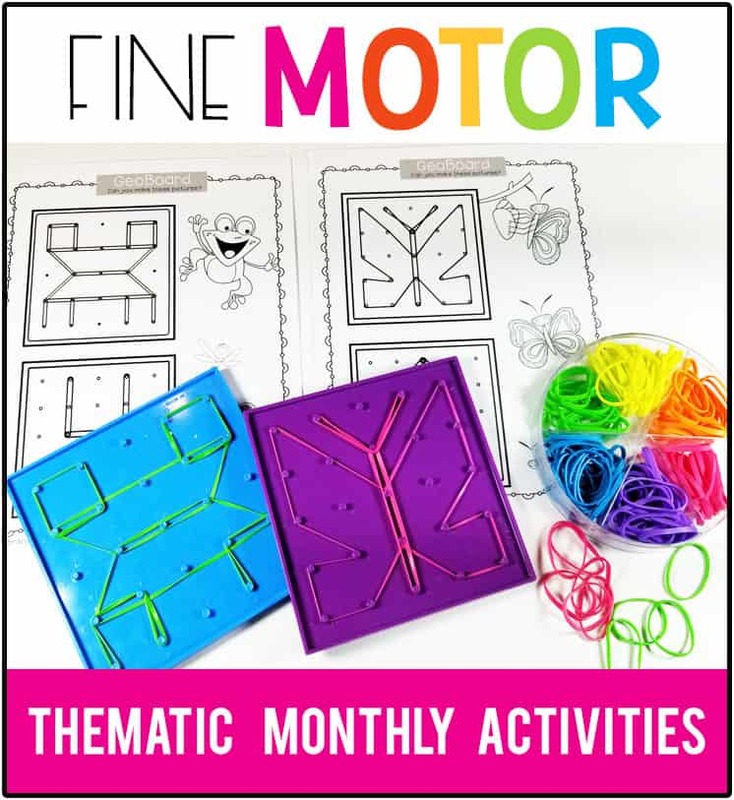 Game Assembly: Print one game board per child, laminate. Use a 1.5 inch circle punch to cut out the game pieces. This set includes enough pieces for three players so double or triple the game pieces accordingly. thanks so much : it’s a great work !